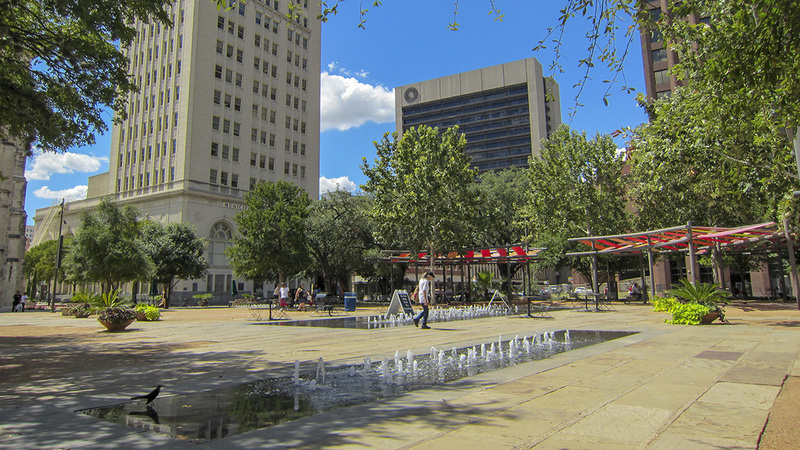 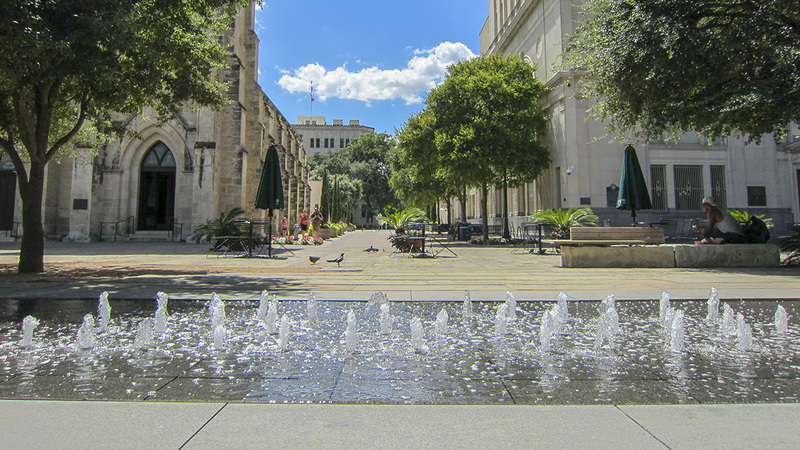 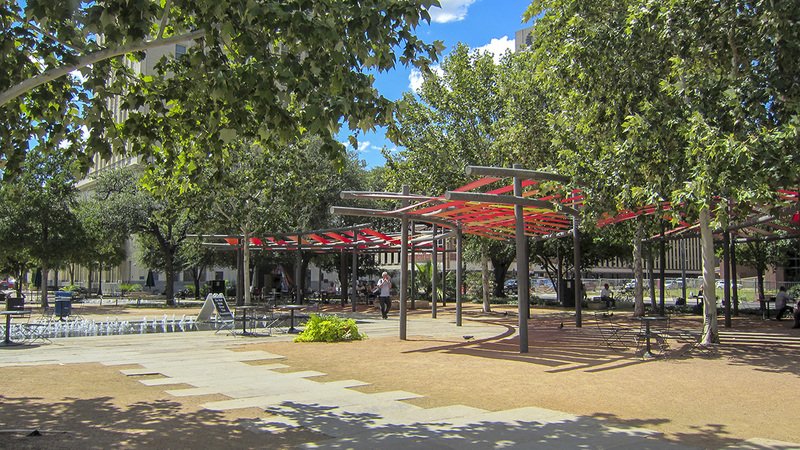 This approximately three-acre trapezoidal plaza, established in 1731 as the civic center of Villa de San Fernando de Béxar, the first civilian Spanish settlement in Texas (and predecessor to modern-day San Antonio), continues to serve as a focal point of downtown. 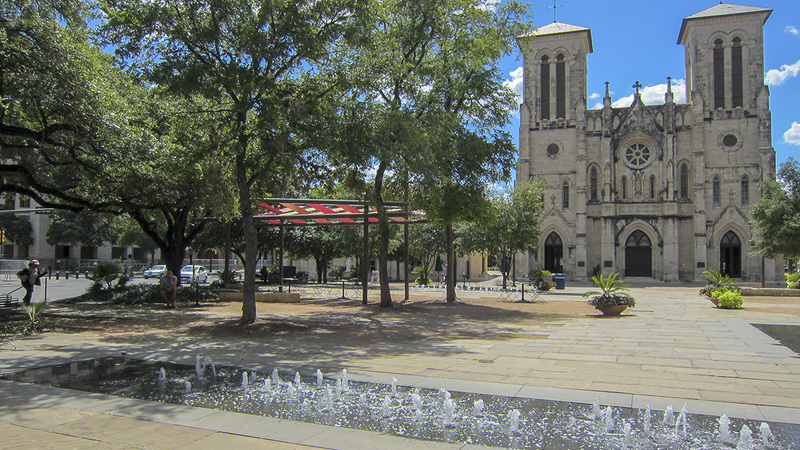 Following Spanish colonial urban planning principles, important structures, including the church and the seat of government, were arranged around the plaza. 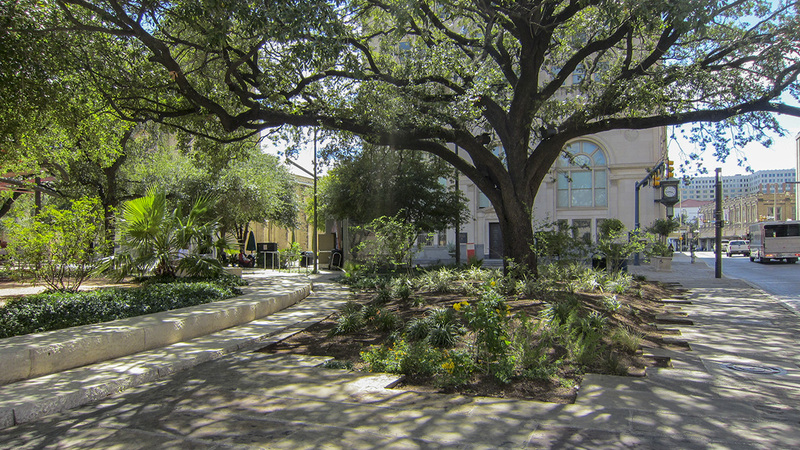 Originally a flat square of packed earth, the public space was improved with sidewalks and plantings in the 1880s. 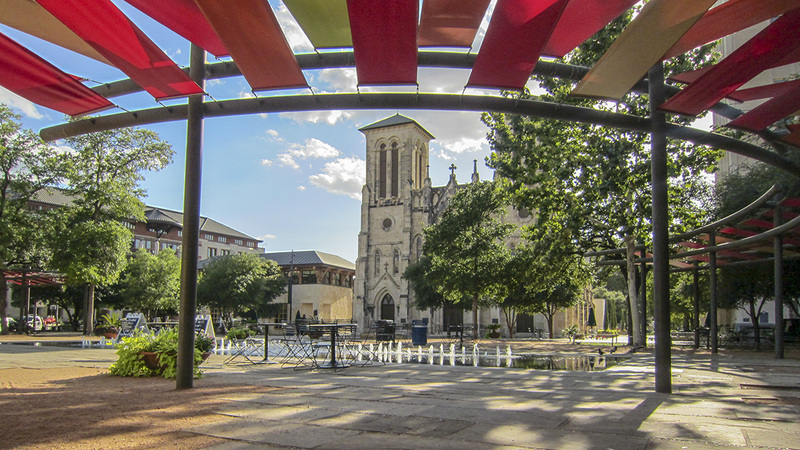 A small parish church along the western edge of the plaza was replaced in 1870 by the San Fernando Cathedral (listed in the National Register of Historic Places in 1975), and in 1896 the Bexar County Courthouse (listed in the National Register of Historic Places in 1977) was constructed on the southern edge of the plaza. 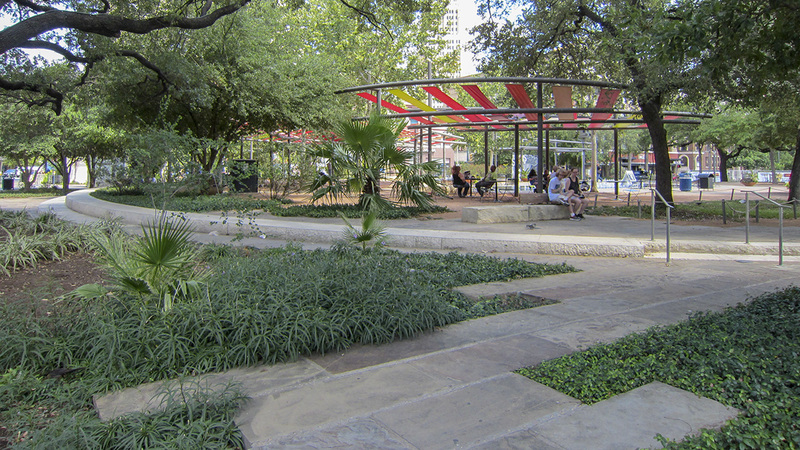 Lake|Flato, in collaboration with SWA Group, completed a major renovation in 2008 to improve pedestrian connectivity. 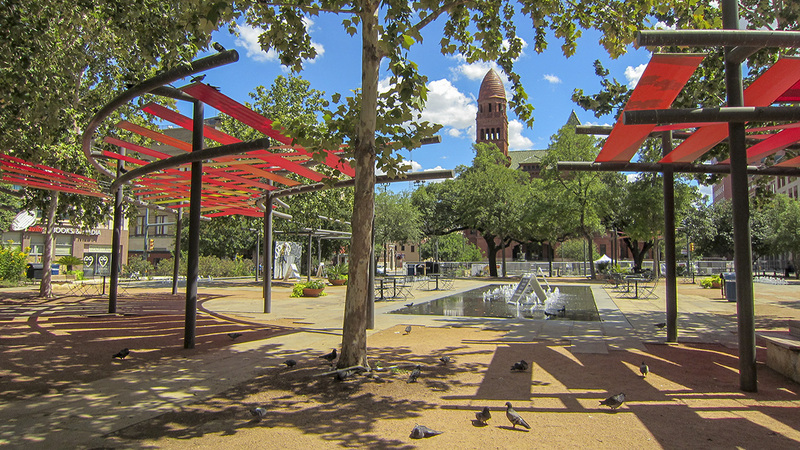 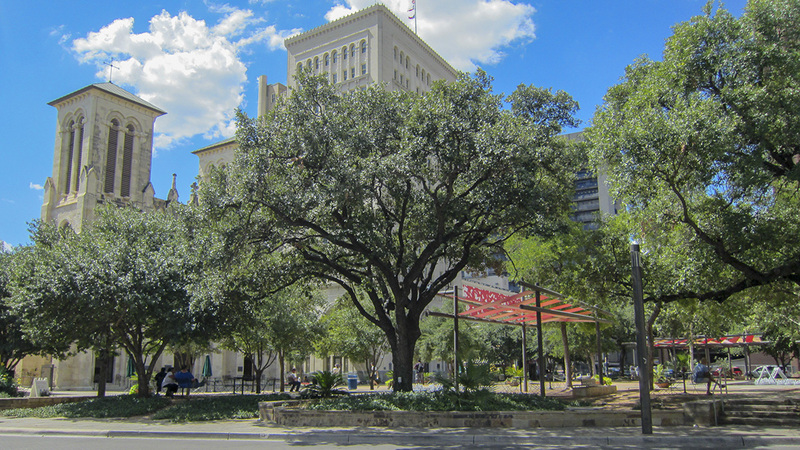 Paved with brown-hued limestone to complement the surrounding architecture, the plaza is shaded by lacebark elms and red oaks and lushly planted with native perennials. 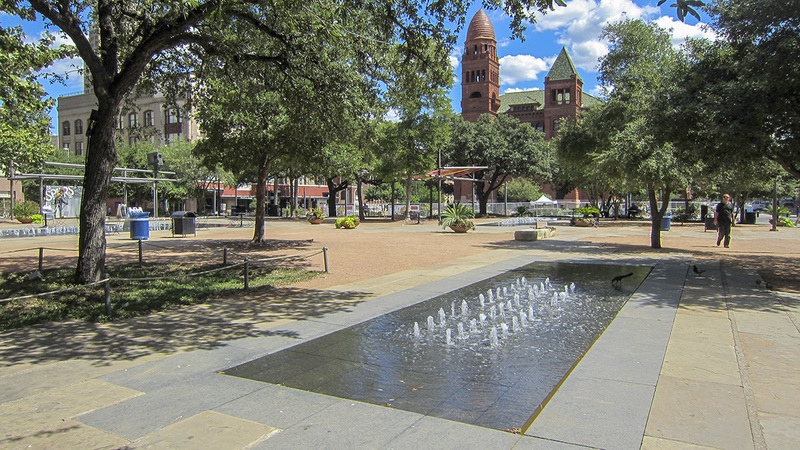 A large splash pad, flush with the ground plane, is central to the space, with four additional similar, smaller pads located throughout. 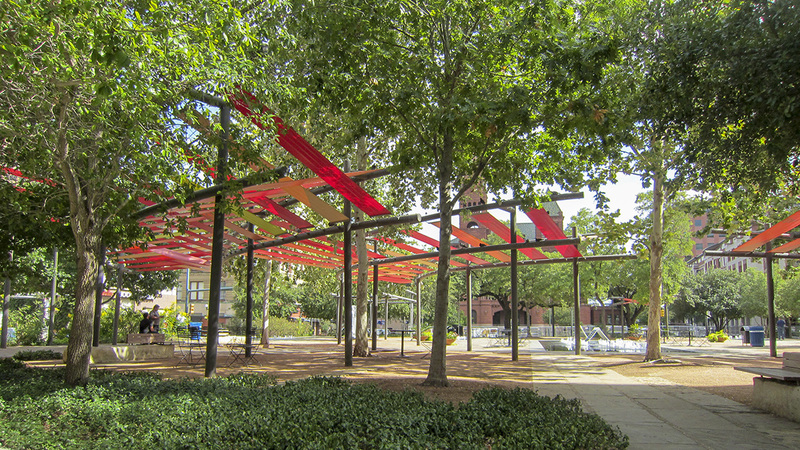 Movable seating is situated beneath curved arbors with canopies of interwoven red, orange, and yellow strips of durable fabric. 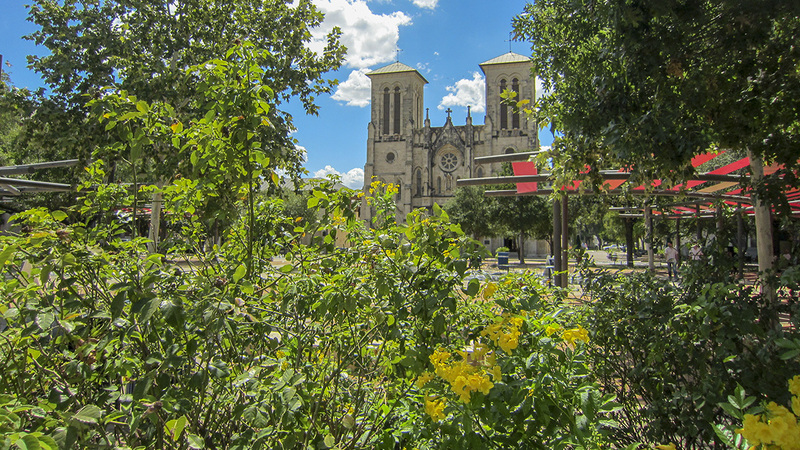 Walkways connect to the River Walk to the east and Military Plaza to the west via the north side of San Fernando Cathedral. 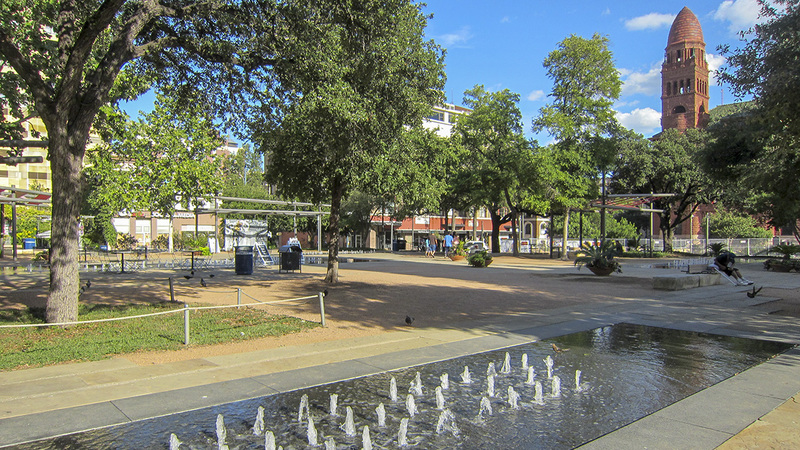 Main Plaza is a contributing feature of the Main and Military Plazas Historic District, listed in the National Register of Historic Places in 1979.